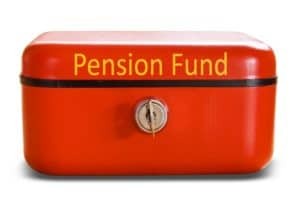 Can I leave my SURS pension to my child with special needs? No parents of a child with special needs want their son or daughter to be forced to rely solely on public assistance programs like Social Security disability, Supplemental Security and Medicaid to survive. So, they often look at their options for taking care of the child, even long after they are gone. The problem is, retirement accounts and pensions often make up most people’s long-term savings plan. They are extremely beneficial; however, they are not typically designed up to help people who have a child with special needs. Those parents must provide a protected source of liquid funds for a child for the rest of his or her life. Most retirement plans require some form of distribution once an account owner dies, especially if the account names someone other than the account owner’s spouse as a beneficiary. In these cases, naming a child with special needs as a direct beneficiary of a retirement account can affect the child’s ability to access government benefits. For Illinois families who have a child with special needs, there are options that bring both peace of mind and important support to the beneficiary. State law provides that such special trusts can be established for the benefit of an individual with special needs. Such trusts do not require beneficiaries to pay or reimburse the state for Medicaid or the federal government with regard to Social Security and other programs. Illinois law also provides that property, goods and services purchased or owned by such a trust for and or used by or consumed by the beneficiary, are not to be considered assets of the beneficiary. Once it’s been decided that a trust is in order, the question is how to fund it. If one or both of the parents has a public pension such as SURS, they may be allowed to leave the pension as a continuing annuity to a special needs trust for the benefit of an adult child with special needs for their entire lifetime so long as there are certain often specific, provisions in the trust that are not in most special needs trusts. SURS, or the State Universities Retirement System, is funded through contributions by both the employee and the school he or she works for in Illinois. Talk to an experienced special needs planning attorney today.